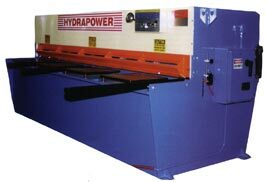 This is a 42' x 2000 ton press brake. 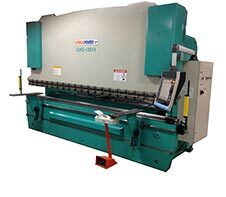 This is a 50' x 2000 ton Press brake. 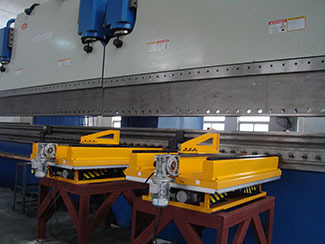 This is a 42' x 500 ton press brake. 20" X 52" Lincoln Welding Power and Controls. 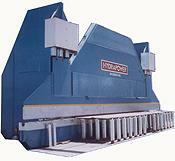 CNC for curtain wall and architectural metal processing. All our machines are built to quality standards much higher than ISO-9000 requirements, and always have been. This is backed by our 5-year warranty -The highest standard in the Fabricating Equipment Industry! With YAG Laser and CNC integrated systems. Superior forming accuracy for poles. Pole Manufacturing. 2 Front or Rear Feeders Needed.